Each year the Longboat Island Chapel awards college scholarships to recipients who apply and are interviewed by the Scholarship Committee, comprised of several church members and the pastor, according to the guidelines of the Harry and Anne Ferries Scholarship Fund. Scholarships are funded to qualified high school seniors and previously enrolled college students from Manatee and Sarasota counties who have been accepted into a college or university. 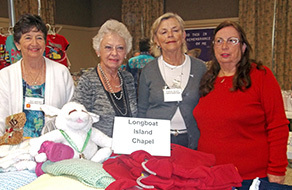 Women of the Longboat Island Chapel participate in the Church Women United project to collect new clothing, blankets, shoes and diapers for children of local migrant workers. These gifts are presented during their annual Migrant Tea event. Children from the headstart program and a high school student or adult who has benefited from this program are also part of this Migrant Tea. 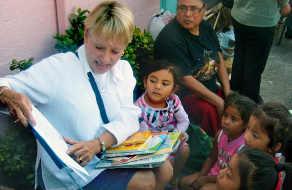 Church Women United is comprised of churches in the Manatee County area and is part of their outreach service. AA meets on Mondays at 6:00 p.m., and Tuesdays, Thursdays and Sundays at 7:00 p.m. Alanon meets on Sundays (during season) at 7:00 p.m.